On Monday, Capella Education Co., a pioneer in the online class, announced that it will be merging with Strayer Education Co. in a $1.9 bn deal. When the dust settles, the resulting company will be one of the country’s biggest for-profit educators. The merger will comprise of a stock-for-stock exchange. Strayer shareholders will control 52% of the new entity while Capella shareholders will get the rest. Both companies are publicly traded and, following the deal, Strayer’s shares rose 7% while Capella’s gained 27%. Both players have years of experience in education geared towards adult learners. Capella University, the institution named after its parent company, was established in 1993 out of Minneapolis and currently offers 142 online graduate and undergraduate specializations along with 25 certificate programs. 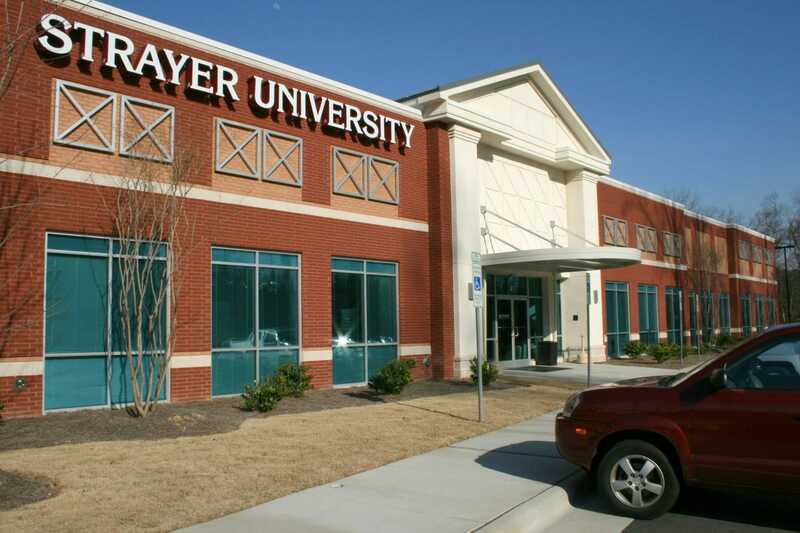 Strayer University is over 100 years old and, with dozens of campuses throughout the U.S., offers on and offline courses, primarily in business. Current enrollment between the two schools totals over 80,000. Among established for-profit educators lately, it’s been a question of band together or die alone. In September, the Phoenix New Times reported that the University of Phoenix, which at one time counted 500,000 students, will close 20 different campuses once current students finish their programs. If that gives you deja vu, don’t worry, you’re not crazy. In 2012, the country’s one-time biggest for-profit university closed 100 campuses and laid off 800 staff. One of the significant causes of this had been the Obama administration’s campaign against for-profit educators cashing in on federally-issued student loans. In 2008, when President Barack Obama took office, about 1 in 10 federal student loans were issued for people entering for-profit universities or colleges. At the time, among those who defaulted on their federal loans or were at least 9 months late on payment, 44% were from for-profit graduates. Responding to hundreds of accounts of suspected fraud, the White House passed sweeping regulatory changes. What became known as the gainful employment policy mandated that, for colleges to receive federal loans under the Higher Education Act Title IV, it must adequately prepare students to enter the job market after graduation. The regulations caused the immediate closure of two of the country’s biggest for-profit educators: Corinthian Colleges and ITT Technical Institutes. But the Trump administration has been far more lenient. In June, the Education Department under Education Secretary Betsy DeVos froze orders that would have provided a means for students who were defrauded by for-profit institutions to gain some kind of compensation or have their loans forgiven. DeVos also delayed the rule that institutions make public their graduates’ debt and earnings by one year in July. That’s big news for both Capella and Strayer. In 2012, Senator Tom Harkin (D-Iowa) released a report for the Senate Education Committee which found that a staggering 79% of Capella’s cash flow came from Title IV payments. In 2010, the Senate Education Committee found that Strayer sourced 84.9% of their total revenue from the federal government. A more recent Senate report found that 96% of students enrolled at a for-profit institution took out a federal loan. That figure was only 13% at community colleges and 48% at four-year public colleges. Since the Trump administration assumed power, for-profit stocks have surged. Strayer’s has gone up by 49%. It remains unclear whether or not the for-profit university business will see the same success of the late aughts. While the business came under fire from the previous government, many derivatives, offering massive online open courses (MOOCs), Nanodegrees, and other vocational programs have sprung up. With the success of institutions like the Khan Academy or coding bootcamps, it appears that many students prefer a concentrated and accelerated program—accredited or not—to a traditional university experience, especially when it will sink them deep in debt.